Van Mueller, LUTCF, is a Registered Representative with the Wisconsin Agency of New England Financial Services. January 23, 2012 marks Van’s 39th year as an insurance agent. He is an active member of MDRT having qualified for Court of the Table in 1990 and Top of the Table for the last twenty-one years. Van has served as an LUTCF moderator in the past and is looking forward to doing so again. He also served as President of the Milwaukee Association of Insurance and Financial Advisors for the 1998-99 year. In the past, Van has served as Membership Chairman for both Milwaukee and the State of Wisconsin. Van also served the Annuity Advisory Panel, the Middle Income Task Force, the Sales Idea Committee, and the Program Development Committee for MDRT. He has served as Chair of the Website Task Force and for the last two years served on The Board of Directors for Top of the Table. He is also responsible for the Top of the Table Website. Van’s new endeavor is the Main Platform Committee for the 2005 MDRT Meeting in New Orleans. 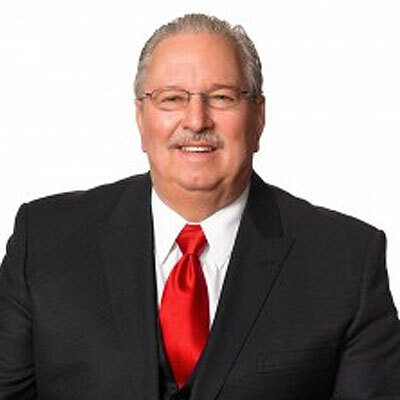 Van was recently awarded the Milwaukee NAIFA Distinguished Service Award for 2003. He has also qualified for the National Sales Achievement Award, the National Quality Award, the Health Insurance Quality Award, and has qualified many times for the National Association of Health Underwriters Leading Producers Round Table. Van has also been named Senior Marked Advisor Magazine’s 2010 Advisor of The Year. Van has spoken to groups all over the country and now all over the world, including being a main-platform speaker at MDRT in 1998 in Chicago and the Main Platform Speaker at the 2001 Top of the Table Meeting in Maui, HI. Van was a Main Platform Speaker at the 2003 NAIFA meeting in Kansas City. He has also written many articles for various publications. Van is a monthly columnist for Senior Market Advisor. Check out Van’s website for advisor support materials: www.VANMUELLER.com. Don’t pay the price just because everybody else is! Fast & Furious Sales Ideas LIVE from the Real Wealth Symposium!